The Razer Piranha is engineered from the ground up to blend performance, long hours of comfort and functionality, to deliver realistic in-game audio that will satisfy the needs of the most demanding gamer – You. 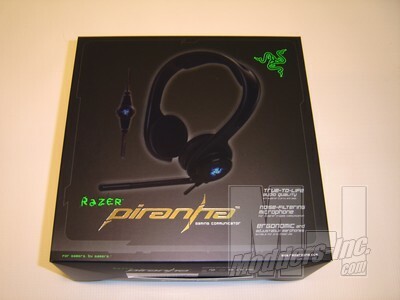 Today I am going to review Razer’s Piranha. 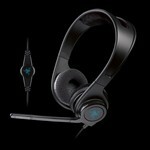 Razer calls it a gaming communicator but it’s really just a fancy name for headphones with a mic. Knowing Razer there will be a little more to it than that. 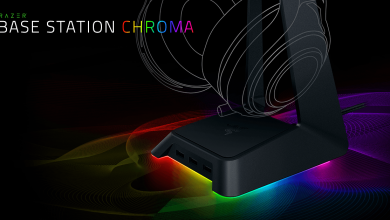 Razer makes products that are geared specifically toward gamers. 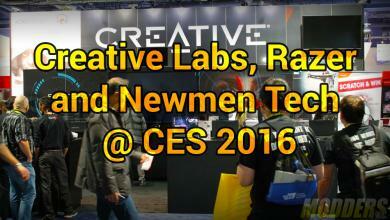 Know mostly for their high end mice they are working their way into all facets of the PC gaming market. Today we are going to look at a headset of theirs and I am fairly confident that it will have perks designed around the gamers mindset. 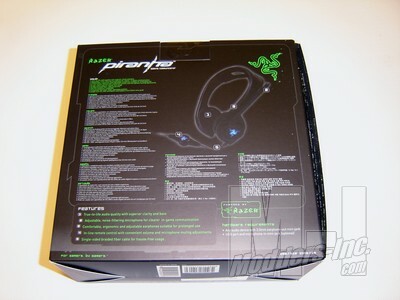 First let take a look at the Piranha packaging as you would receive it. 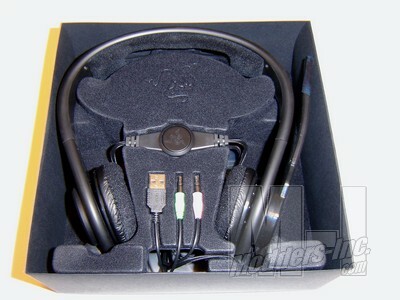 If you can say anything about Razer it’s that they know how to package and market a product. The way they package all of their products are done in a very high end fashion. There is always plenty of information and pictures adorned on the outside of the packaging, as well as Features, Specs and more often than not Quotes about how great the product is from well known gamers. The Piranha is no exception. 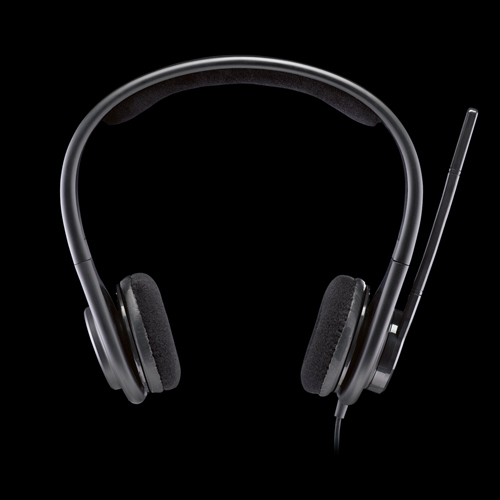 There are multiple views of the headset on the packaging even drawing showing the mic fold in and out of the headset, detailed specifications and a list of features in several languages. Oddly enough there are no quotes from any gamers on this box only from the “razer guy”. There is however a logo indicating they are and official partner of the 2007 World Cyber Games. 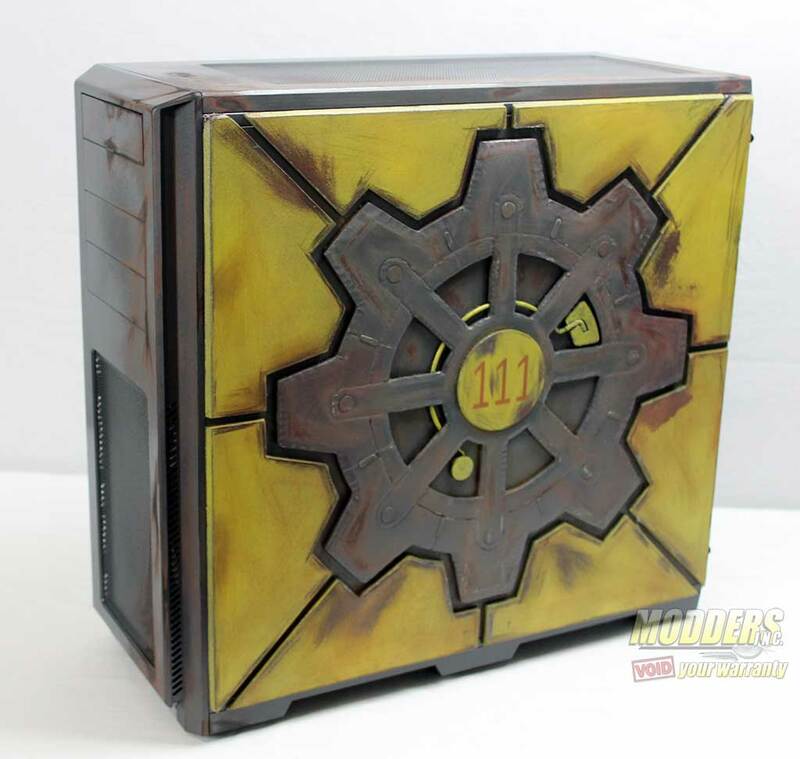 Opening up the packaging and looking inside you will find the Piranha safe and snug inside it’s custom molded packaging. Everything is snapped firmly into place and everything you need to see is set up so you can see it. A nice detail is that the molded packaging has a soft black felt layer to it so as to not scratch up the finish on the headphones. There probably isn’t a great likely hood of that happening but it’s these nice little details that let you know a company cares about a product. Before we move onto taking a closer more detailed look at the Piranha here is the feature set that is included on the box and also the razer website. Comfortable, ergonomic and adjustable earphones suitable for prolonged use.